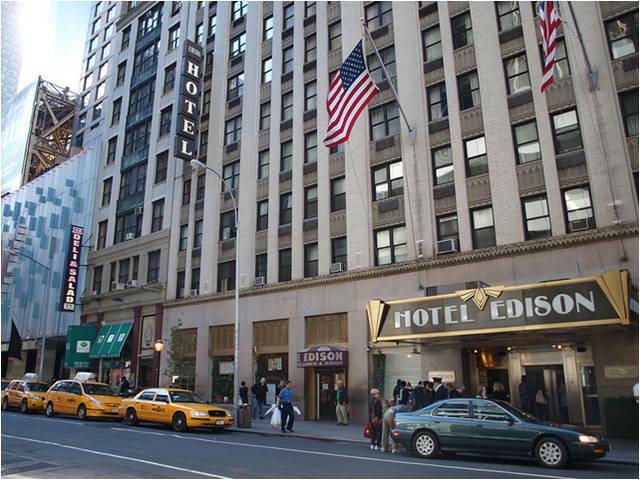 EI Associates is presently assisting the Hotel Edison with the design of a new Emergency Generator and Combined Heat and Power (CHP) system. The project involves the installation of a 157kW Natural Gas Emergency Generator tied to a 157Kw Natural Gas Co-Generation System to meet the demands of Domestic Hot Water for the Hotel Guest. The Project will yield annual savings from displaced energy of over 38% and will have a financial Return on Investment (ROI) of 3.9 years. Clean Energy Solutions such as CHP and Cogeneration can also provide utility heating and cooling as well as the benefit of Utility Reliability during power outages. EIAD Energy Solutions, LLC pursues public incentives and private financing opportunities to support comprehensive energy improvement packages for its clients. The EIAD Team brings a uniquely powerful combination of energy and building consulting expertise, construction experience, and project finance experts. EIAD works extensively with both Statewide and Federal Clean Energy Incentive Programs and its strategic partners to successfully implement projects.